 Healthcare Workers Delaying Retirement - ONRAD, Inc.
HealthLeadersMedia | The uncertainties around a sputtering economy have prompted the nation’s healthcare workforce to delay retirement, a new study shows. Research by The Conference Board shows that the healthcare industry experienced the largest decline in retirement rates among all workforce sectors in the U.S. economy. In 2009-2010, only 1.55% of full-time workers aged 55-64 retired within 12 months, compared with almost 4% in 2004-2007. The study —U.S. Workers Delaying Retirement: What Businesses Can Learn from the Trends of Who, Where and Why— found that healthcare workers are part of a larger trend among U.S. workers, who have retiring later since the mid 1990s – a trend that has been exacerbated by the recession and uneven recovery. Nancy Jennings, a vice president of clinical operations at Chesapeake Regional Medical Center in Chesapeake, VA, told HealthLeaders Mediashe was not surprised by The Conference Board’s findings.